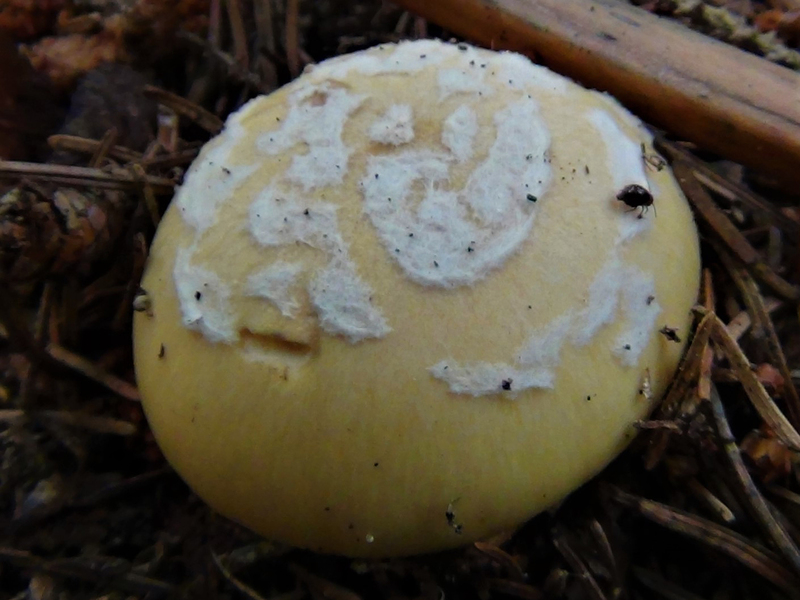 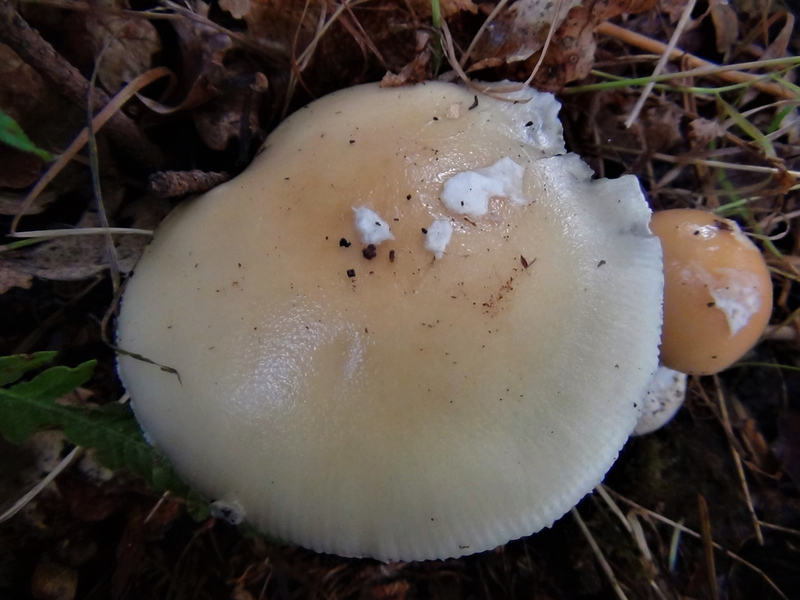 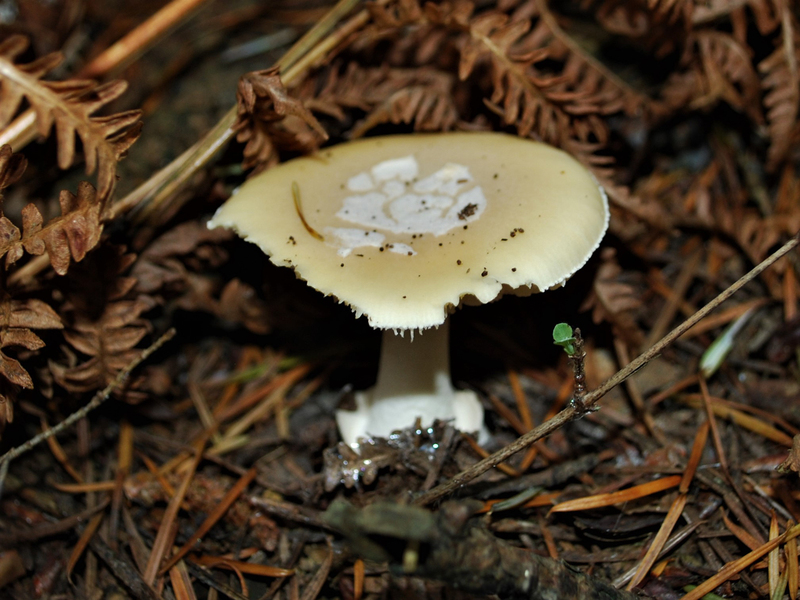 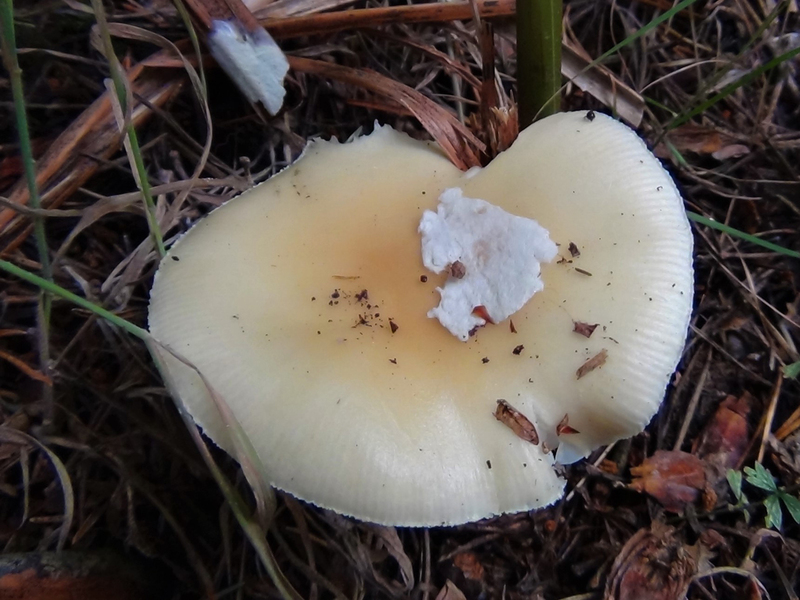 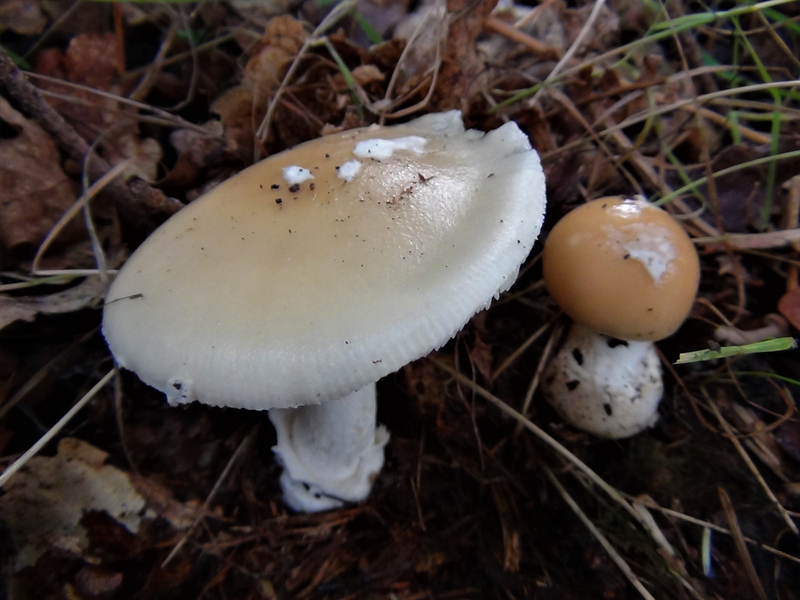 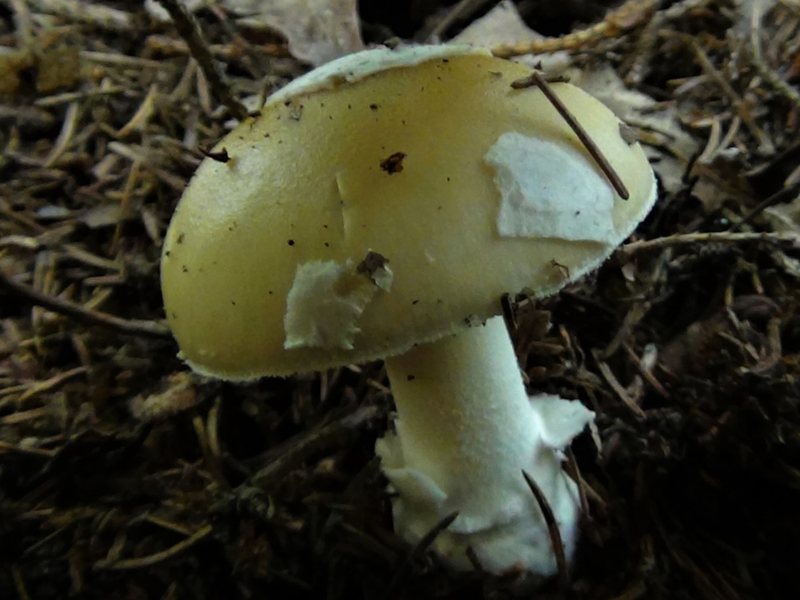 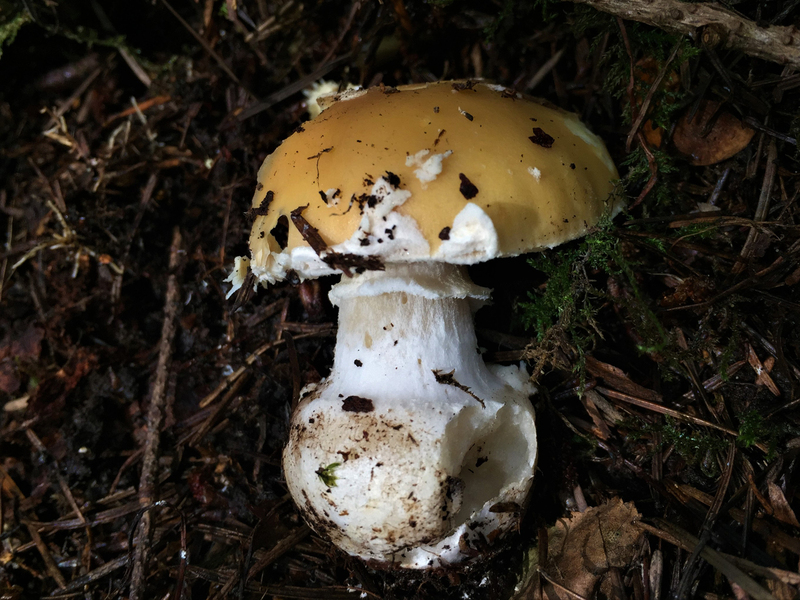 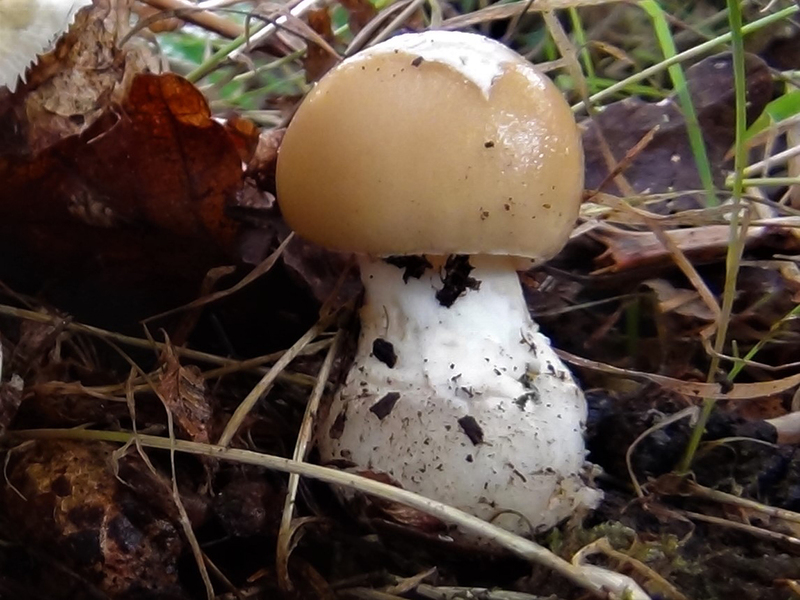 The Jewelled Amanita with its bulbous base. 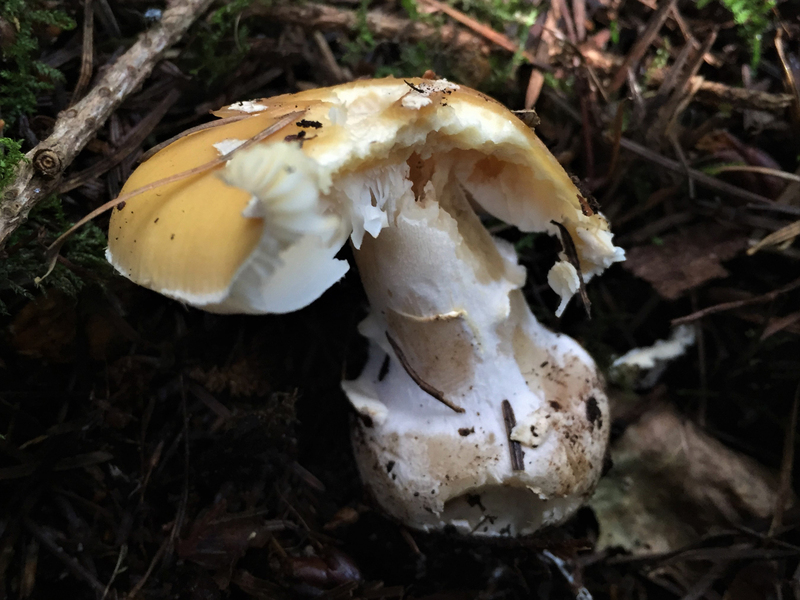 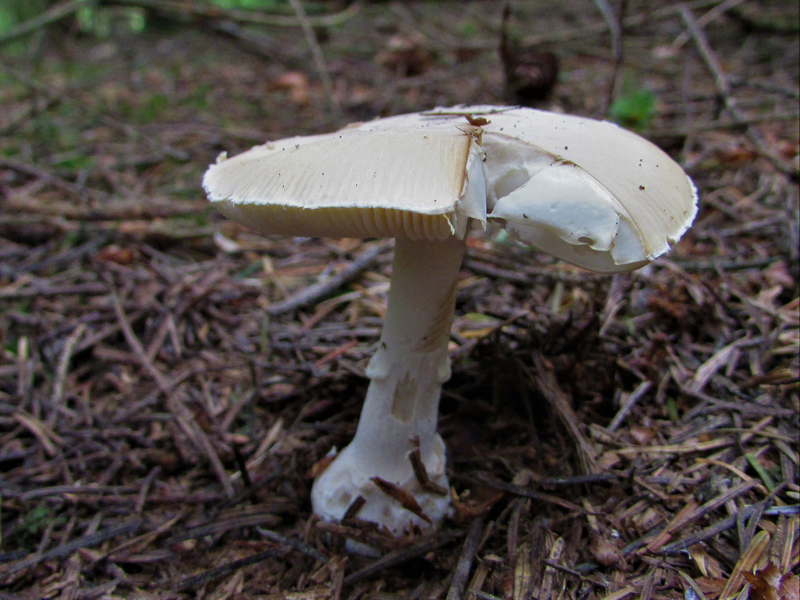 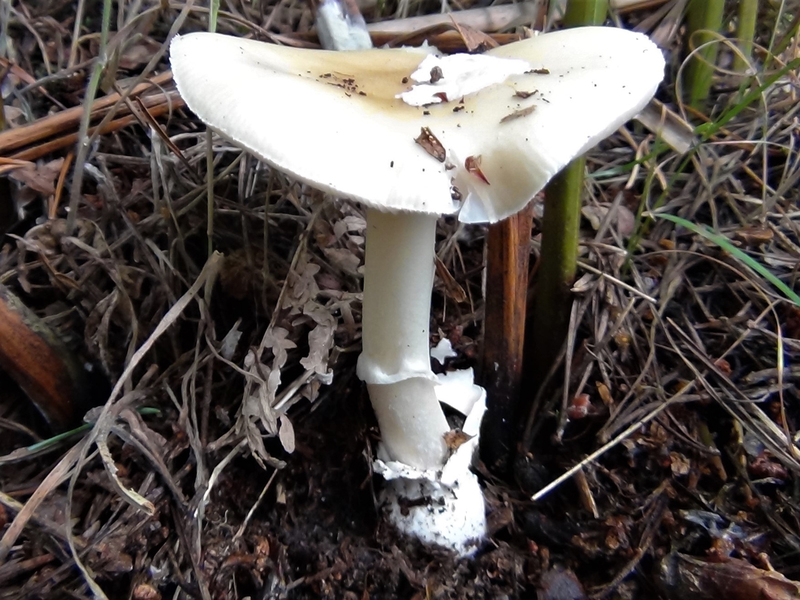 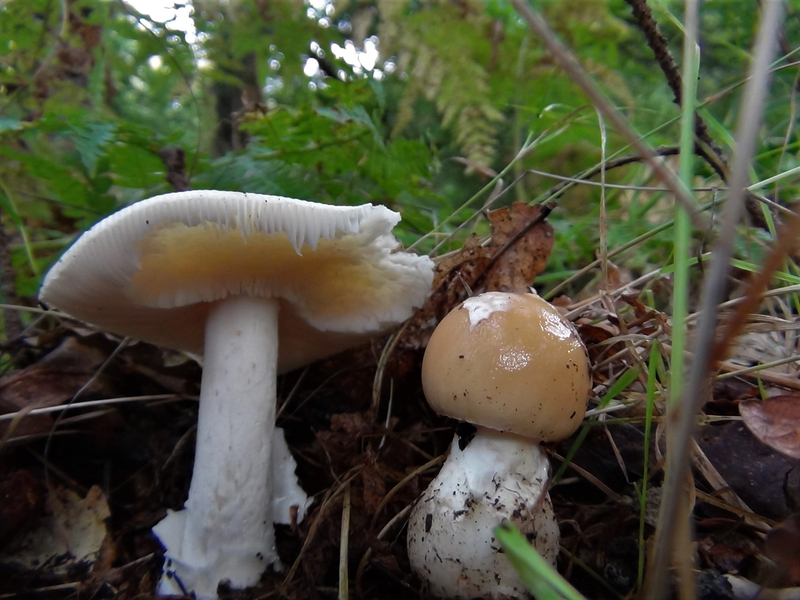 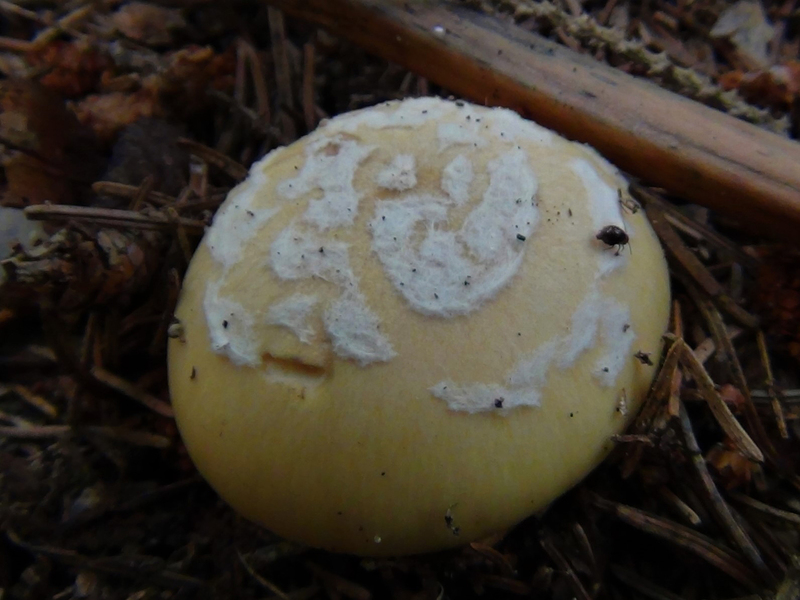 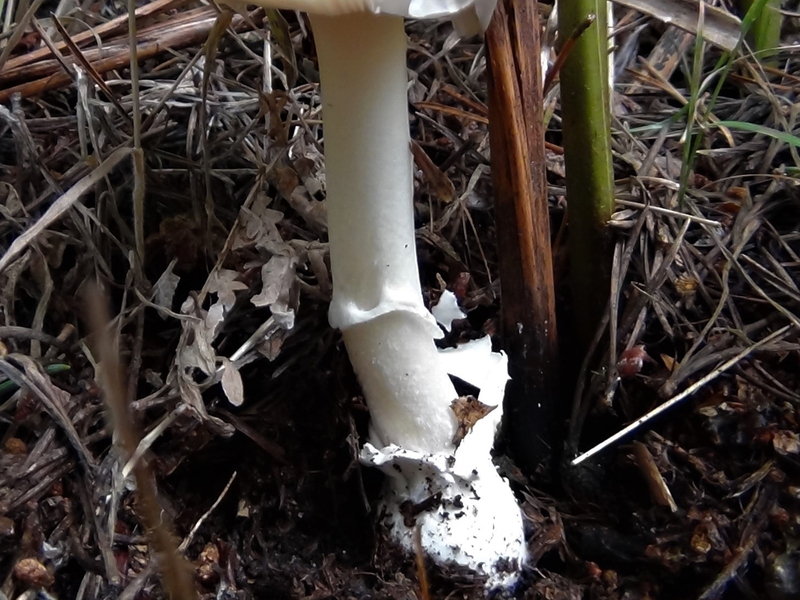 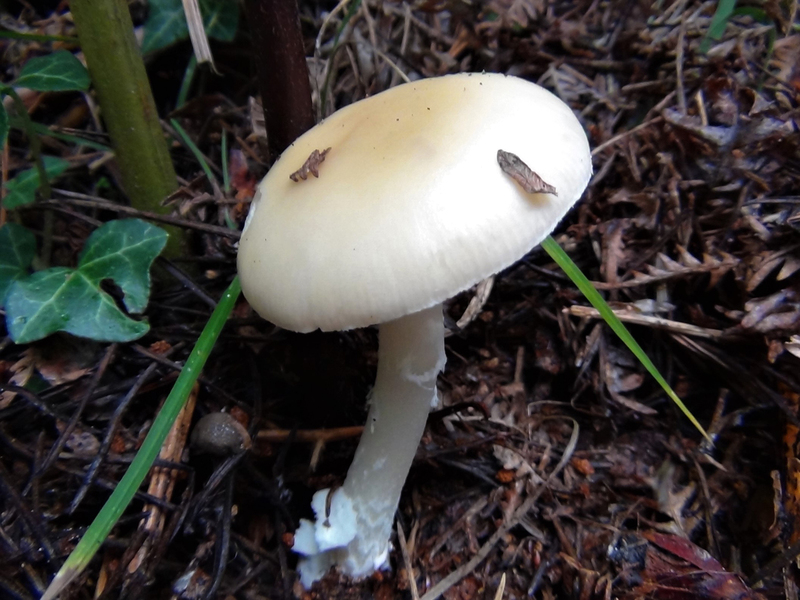 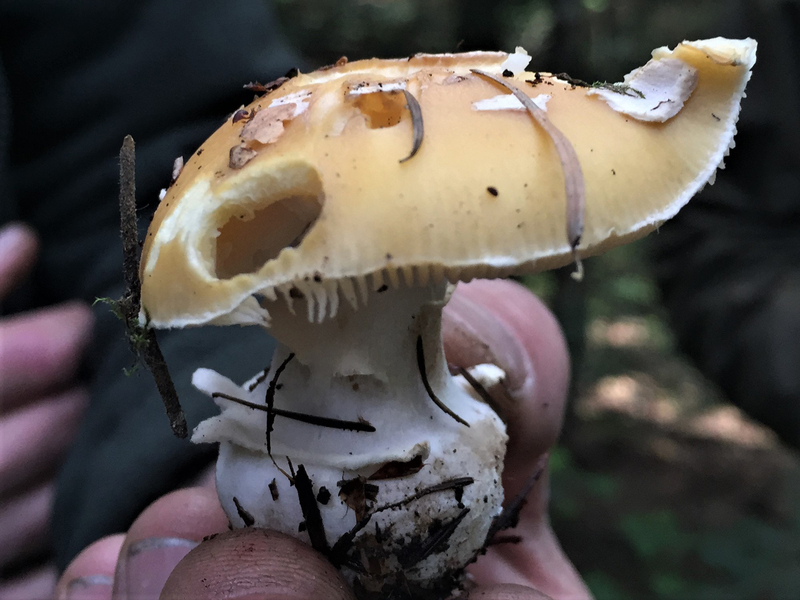 Poisonous, said to be deadly as with some other Amanita species. 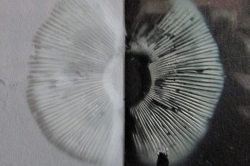 Uncommon. 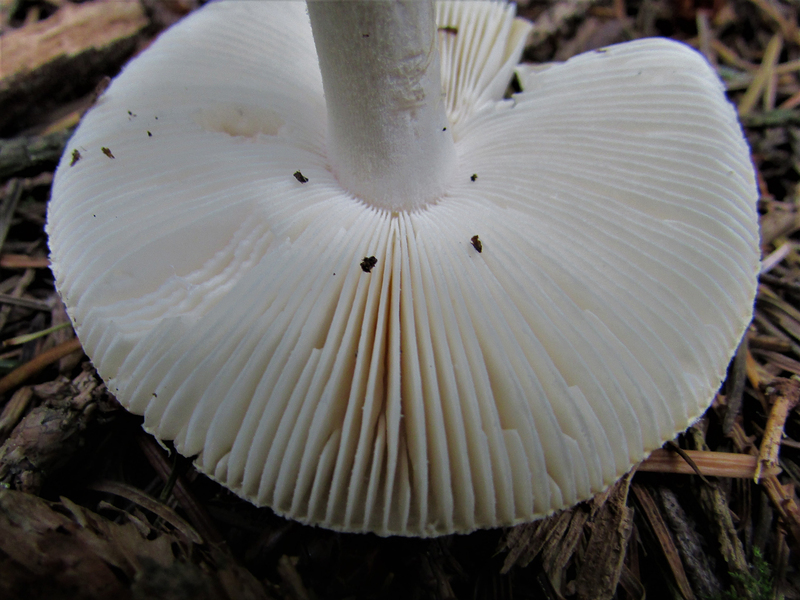 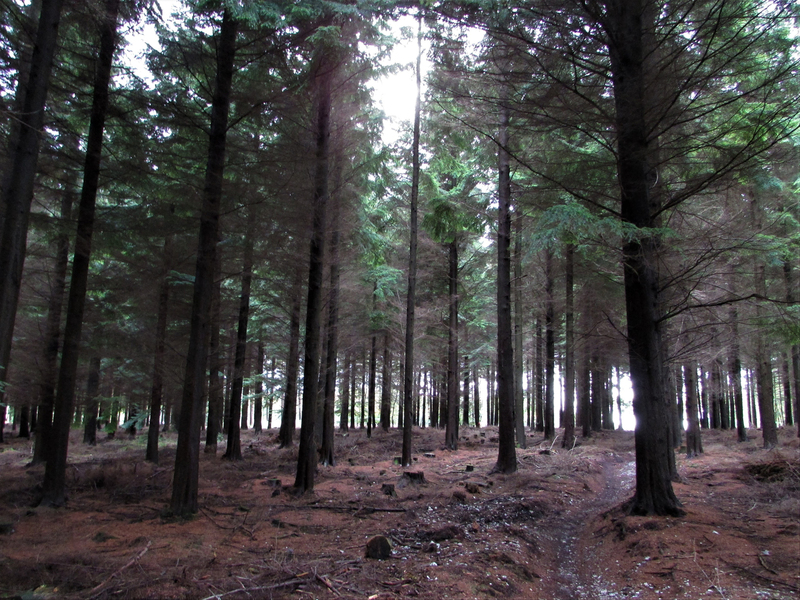 Convex to flat. 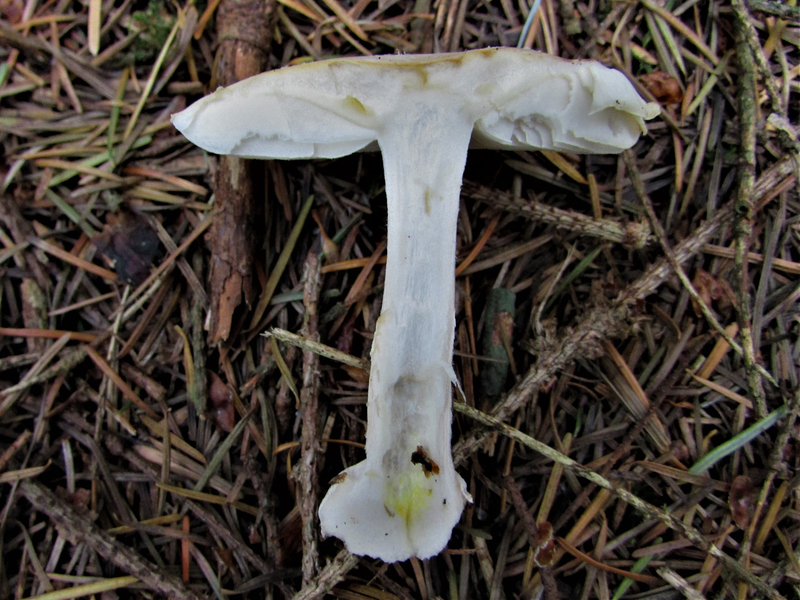 Off-white, pale yellow covered in white pieces of velar remains or veil. 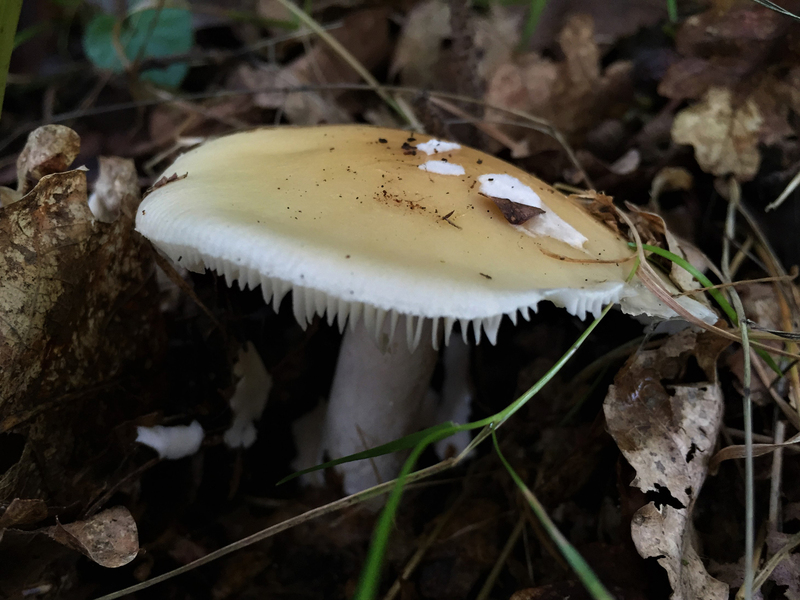 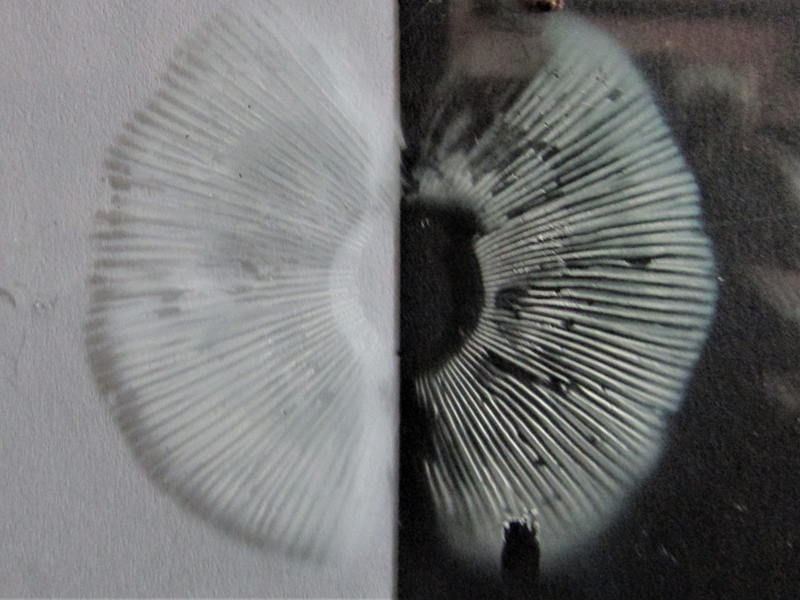 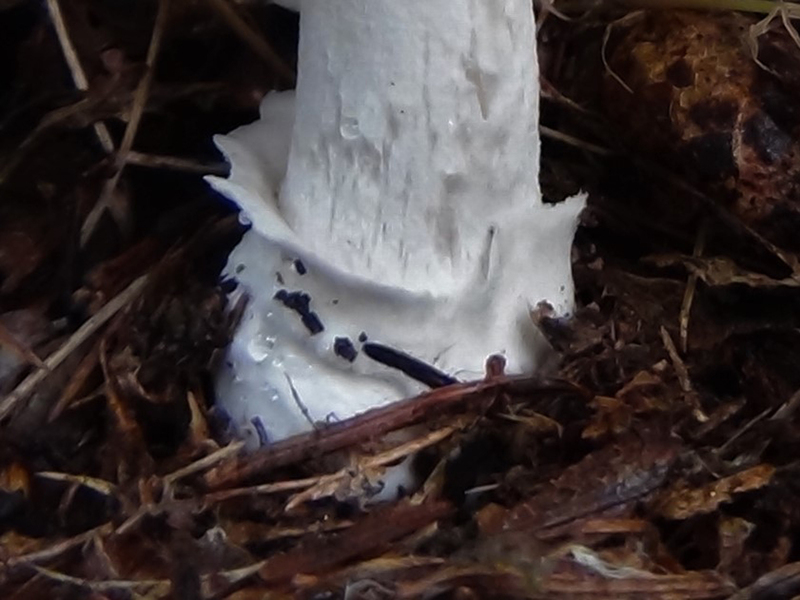 Gills white, slightly connected to stem, crowded. 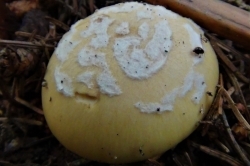 White, slightly yellowish. 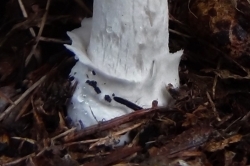 Bulbous at the base with a delicate volva sometimes hollowing in the middle. 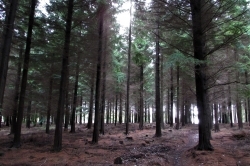 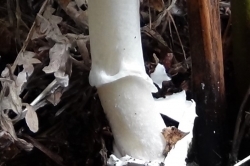 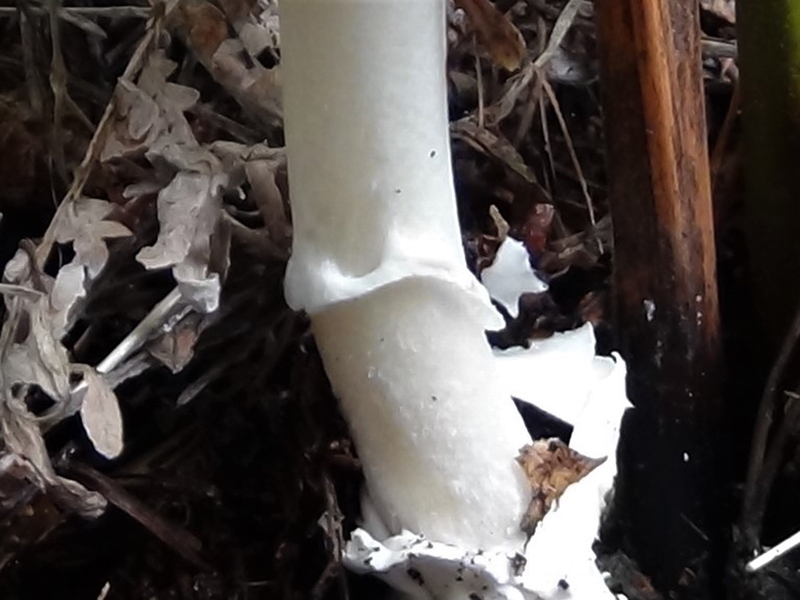 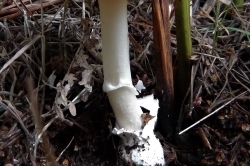 A short lived skirt that is usually low down on the stem. 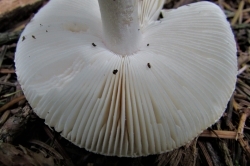 A bulbous base with obvious volva. 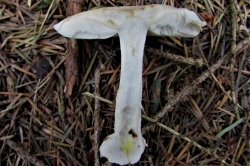 White with pale yellow flush in the stem.